This class is also available online for anyone who can't attend or who lives out of the area and wishes to benefit from the timeless wisdom of our ancestors and the spirit wheel. In order to know where you’re going, you must know where you come from. In order to know where you come from, you must know who you are. Living in harmony with the ancient wisdom of the runes requires courage, and a willingness to live from the Center, a place of honor, accountability and truth. From the Center you can face in any direction and find answers. 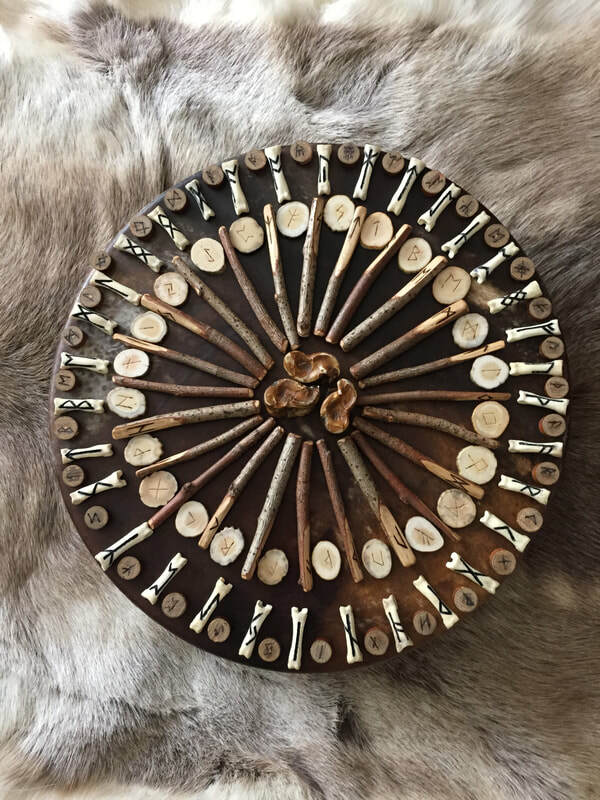 This spirit wheel is a tool, a gift from our ancestors. It provides us with a pattern, a way to access the wisdom of the runes and use it in our day to day life. It opens up a window into the teachings and spiritual practices of pre-Christian Europe. ​Actual address will be given to you once you register and pay.